We have been running regular Speed Dating in Exeter events since 2004, and in that time have built up a reputation for providing professionally run successful events in all age ranges. Come Speed Dating in Exeter and you will get to meet 12-15 professional, interesting and good looking local people, and you will spend four minutes chatting to each of them, so it is highly likely there will be at least one person you will really click with. Regardless of what you are looking for, be it love, a little bit of excitement or just a fun filled evening, our range of speed dating events at Coal Grill and Bar in Exeter may be just what you are looking for. Like all of our venues across the United Kingdom, our Exeter speed dating events are full to the brim with likeminded, gorgeous singles living, working and socialising in the local Devon area; great news if you want to see how speed dating works as a method of dating and you are foot loose and fancy free! Spread over two floors with far reaching views, Coal Grill and Bar attracts a huge amount of interest from enthusiastic individuals who have the burning desire of meeting up with new people in a safe, secure and conveniently located environment. Speed daters, venue staff and the Slow Dating team all agree that this hand selected venue really is just the ticket if you’re looking to embrace the opportunities for finding love available in the city of Exeter, but don’t just take our word for it, pop along to one of our upcoming Exeter speed dating evenings and join in the fun! Set in the heart of the Princesshay area of the city, this hand selected venue is a great place to meet, greet and flirt with other singletons due to its central and easily accessible location. Plus with its beautiful panoramic views of Exeter Cathedral and amidst the hustle and bustle of city life, Coal Grill and Bar is not only chic, trendy and vibrant, but also a modern spacious venue in an enviable city centre position, perfect for Exeter speed dating. Speed dating evenings involve many short conversations where you can talk about whatever you like; it is like being at a party where you get to chat to everyone. Rather than just staying in your own circle of friends as is often the case on a night out, you will get to meet single people who live near you who you have not spoken to before. You should know that the evenings are typically organised to last for about two hours including a refreshment break. 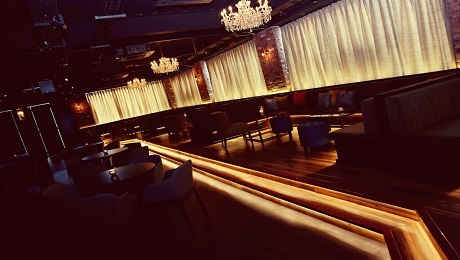 ou will be pleased to know that we hire a private area of a fashionable bar to ensure that you can enjoy your dates in privacy and in comfort. Most people who try Exeter Speed Dating have been successful in getting a follow up date with someone they really want to see again. Exeter speed dating is not only fun but you may well find that special person too. It is definitely worth a go - and you have so little to lose and so lot to gain! There are a variety of reasons why people live in and around Exeter. The city itself has plenty to offer, with a vibrant arts scene, and the surrounding towns and villages are in a lovely part of the country. However, finding that right person can be difficult, but come for an evening Speed Dating in Exeter and you will improve your chances of meeting the right person that's for sure, and checking availability of future events near you is just a click or tewo away. If you do travel up to the capital on a regular basis you may wish to consider checking out our Speed Dating in London events.